There are times, when you see a dress, either in a store, online or on the back of some lovely people, and you just KNOW it was meant to be worn by you. The colour, the cut and the detail, all speak to you. It might sound silly, but that is what fashion does, it makes you realise that the right clothes are out there, and when you find them, you KNOW. 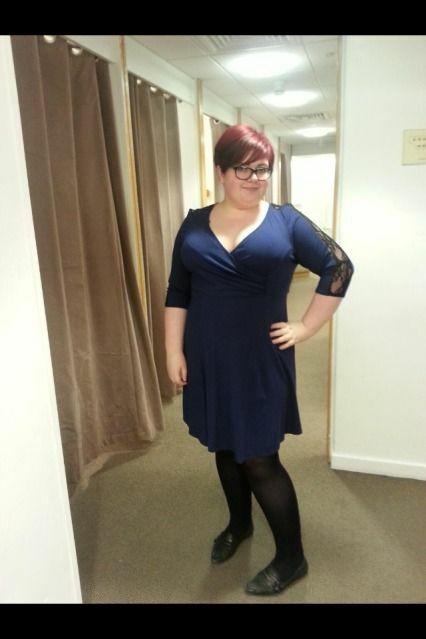 And when I saw this Scarlett & Jo (an amazing collection for Evans) dress on Rosie at a blogging event, and later on Becky. 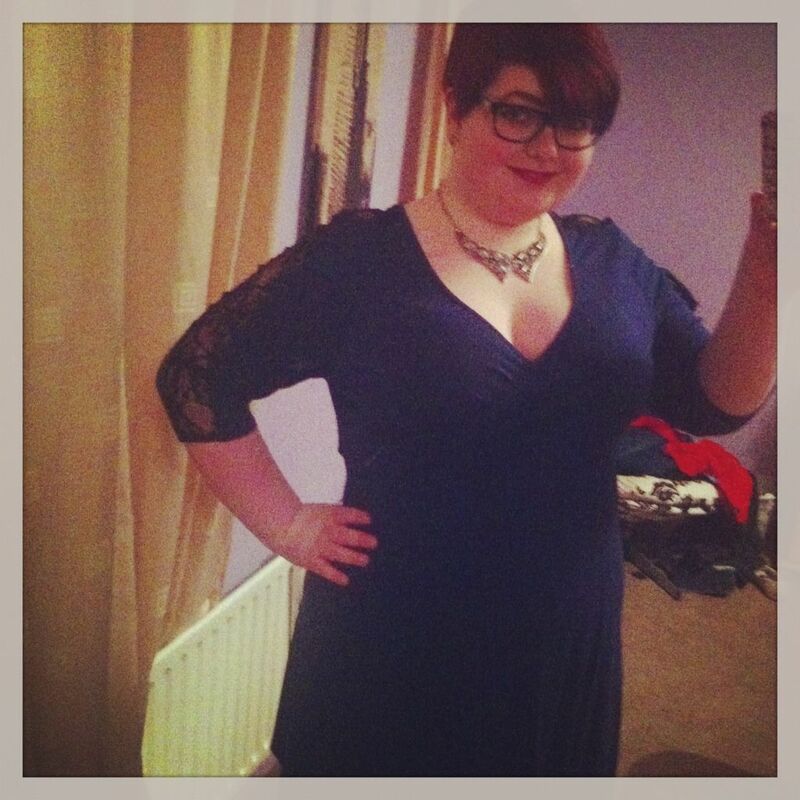 If you saw this post, you'll have seen me trying this dress on in Evans in the Metro Centre. We just happened to be walking past it, and I wondered if they had this dress in stock, as I wanted to try it. When it slipped on easily over my head, I knew it was going home with me to my wardrobe! I had a Diamond Wedding Anniversary party coming up, and wanted something a little bit different - and this fitted the bill perfectly. 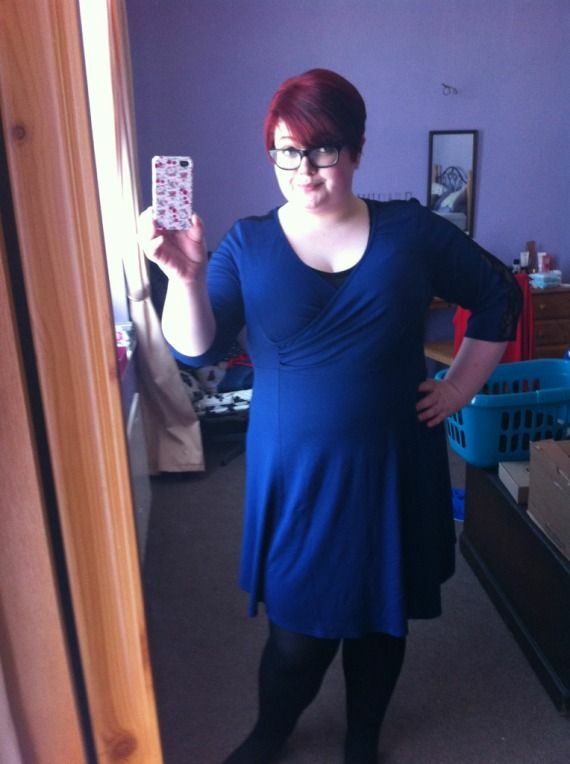 I wore it with my studded colour necklace from Simply Be, black tights, and Viva La Diva T Bar shoes in Navy. This was on Good Friday, which had been a frantic day of painting - which is the clothes you see on the chair in the background. Oops! 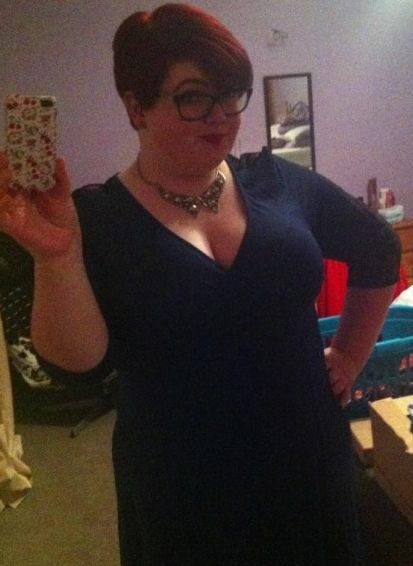 The fit and the cut of the dress in the 22 was perfect on my 46"-41"-50" measurements. 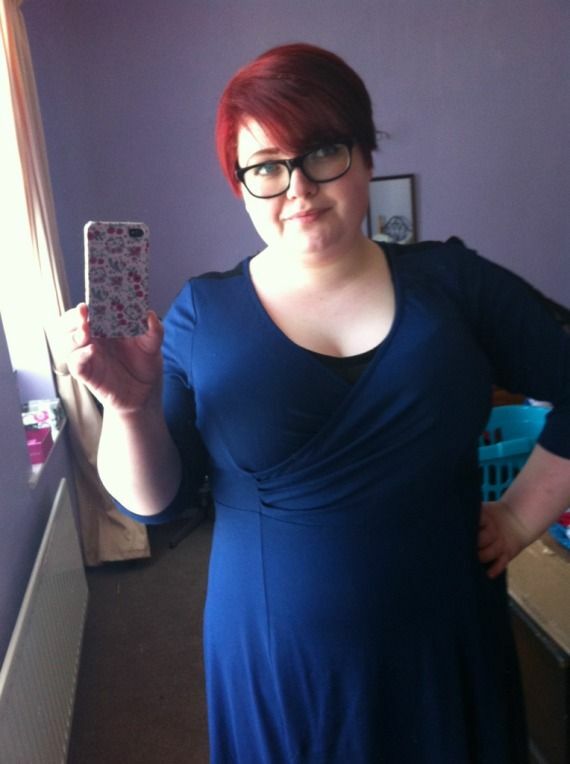 This dress was £40, but at the moment, Evans have a 24% offer on. Go grab yourself a BEAUTY of a dress!